Although I haven’t started really leveraging this yet, it’ll make it far quicker to create tons of different effects to help differentiate monsters from each other, items, rarities, and so on. 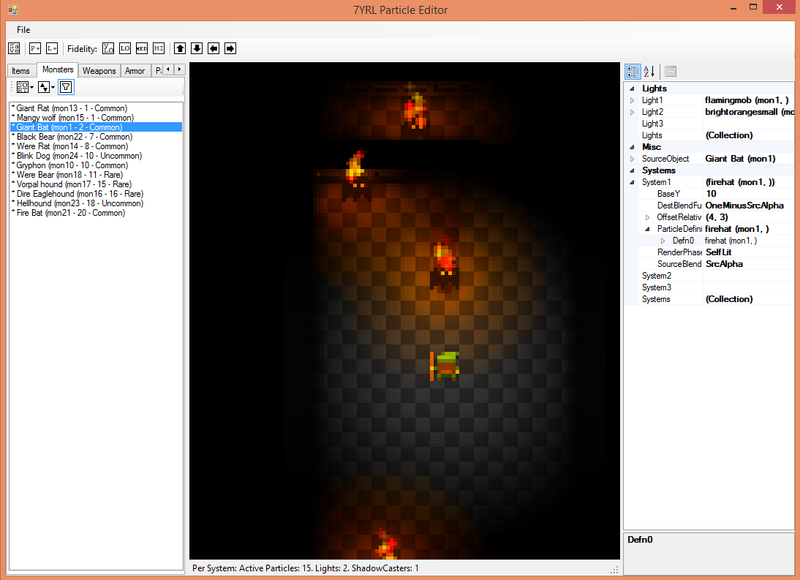 The particle editor uses the actual game engine to render particles so I can see them as they’ll really look. The editor loads from and saves to both xlsx and dat (serialized binary, read by the game) so that I can still use Excel to do more complex or bulk editing tasks if I wish. As another nice touch, I tweaked the game itself to watch the definitions file at runtime and reload it if it changes. 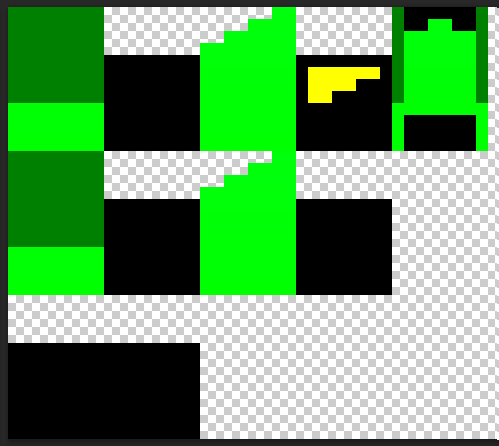 This way if I’m playing the game and see something that doesn’t look quite right, I can fire up the particle editor, tweak it, save it, and a moment later it updates in the game without having to leave/restore it. Result: much quicker iteration time. 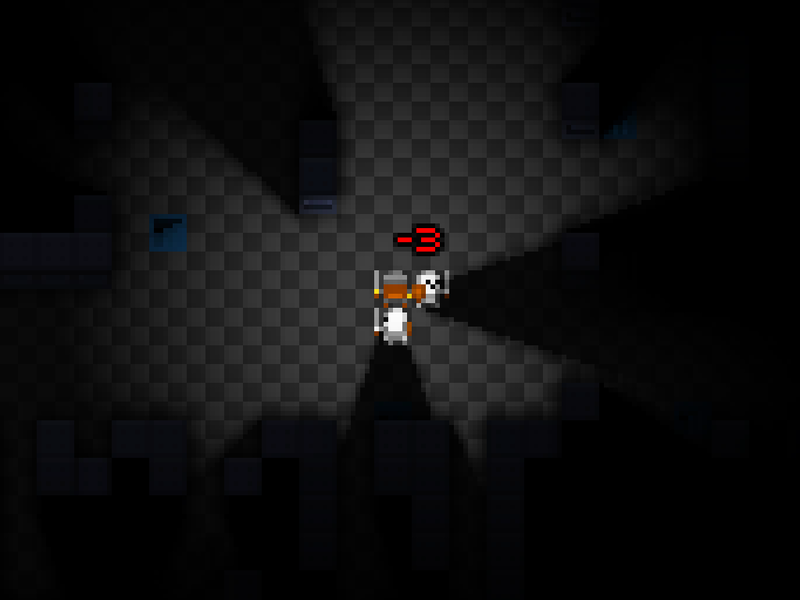 Thanks to the particle system, the blood effect sprays out and even bounces a bit on the ground. The effect isn’t perfect yet, but it’ll do for now. 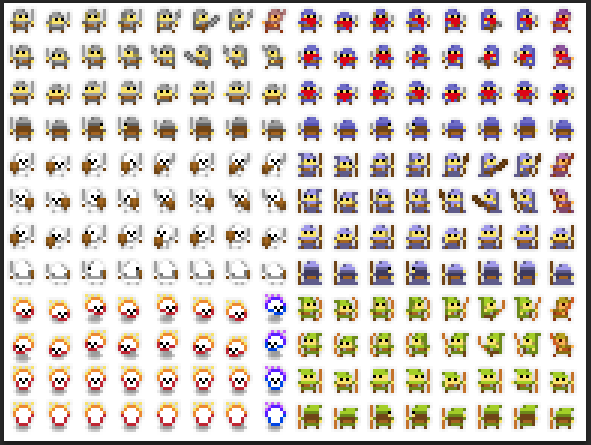 I took the ~200 mobs I had defined and alloted them out between the 20 dungeon levels, moving some out to ‘v2’. 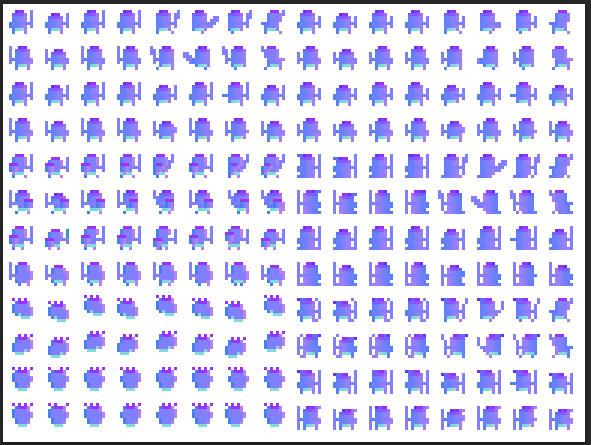 I also chose about 120 different mob images from the Oryx set and prep’ed them in the spritesheets so the mobs are now ready for balancing, skill-setting, animating, and adding normals in a few months. 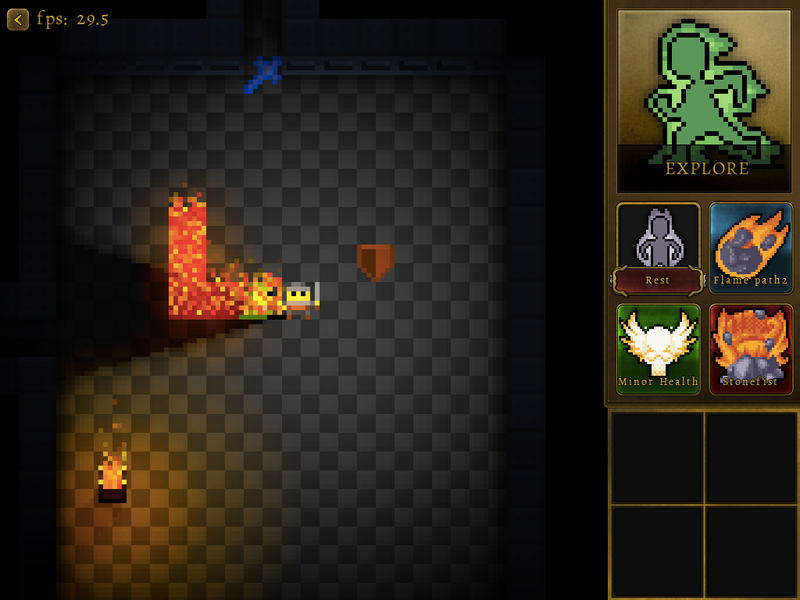 Players now gain XP from killing mobs and can gain levels. They aren’t given any awards yet however (skills, stats). Tons of bug fixes, quality-of-life coding updates, and tweaks. It’s been a busy few weeks! Work sent me to CES last week (more exciting than it sounds – valuable but endless partner meetings and an at-best uninteresting show floor) which stole most of my time last week, but I still found an hour or two here and there to work on 7YRL (lest it become the 8YRL). A bit unwieldy, but for a previous iteration of 7yrl I created a UI to manage creation of Vaults and I’ll eventually port that over to eliminate some of that. 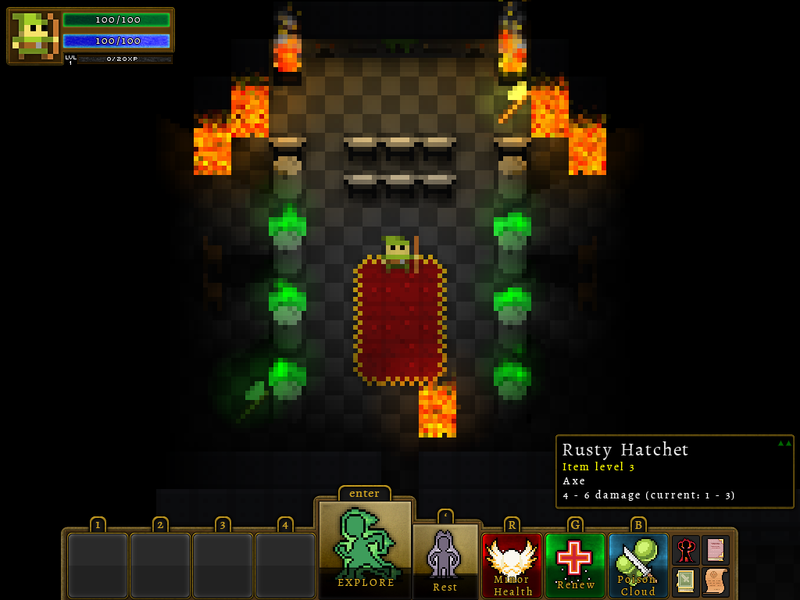 For added variety, most vaults can be rotated, and some can be specified as ‘starting vaults’ indicating that the player should enter the level/dungeon in that vault (if present). This took a ton of work, but is done enough to post a demo. That’ll come out shortly. I’ll also update the Windows demo as well. This took even more work, but the iPad build is functioning and up on TestFlight. This wasn’t done to get people to use it (TestFlight’s a bit too much work for folks when it’s just a tech demo), but I instead did it to ensure that I’ve got things set up for when it is demo-worthy. That said if anyone’s interested in checking out the demo, let me know and I’ll figure out the right steps to get it set up this weekend (the process of getting device ids and what not is not yet clear to me). 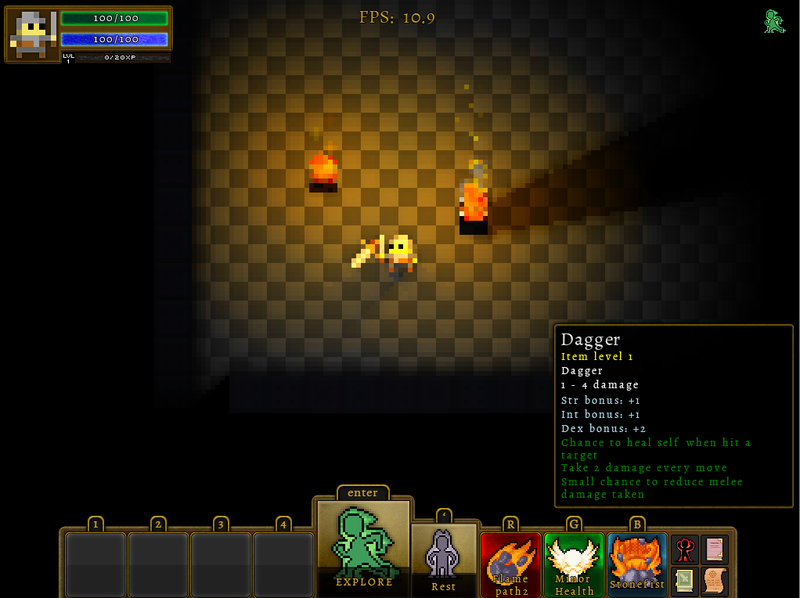 Before, players had a single static light source but the plan was to make light more of a resource; comparable to food in a regular roguelike – something to be hoarded, stressful when without, a blessing when found, and skills which improve it are much sought after. 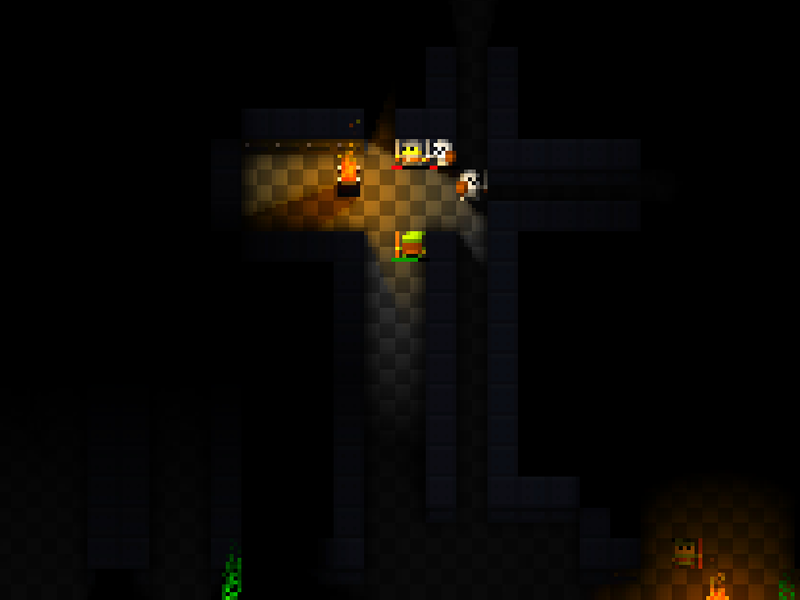 In that vein, players now have a very small amount of “inherent” light. This amount might change based on character or race (imagine some races being weaker but having more inherent light enabling quicker escapes). 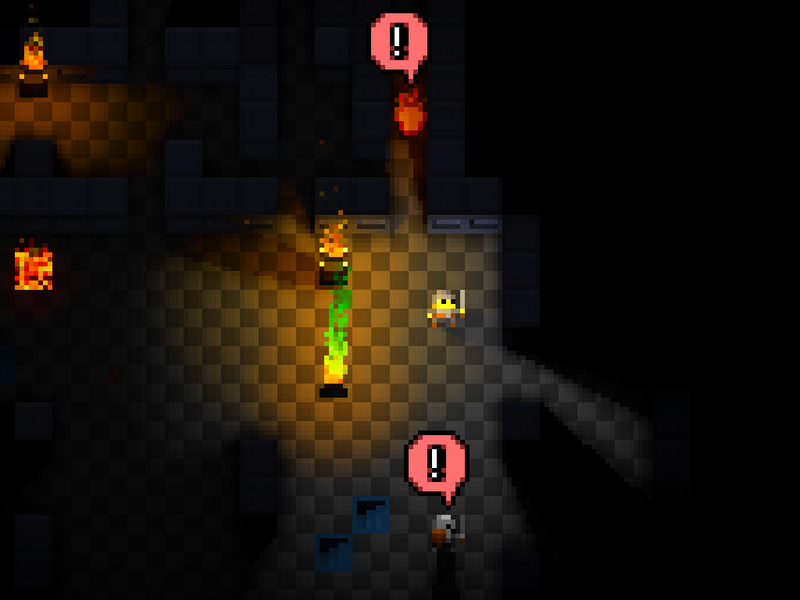 Lights now flicker randomly which gives a good dungeony feel to things. I’ll upload a video momentarily which will demonstrate the flickering. There were a bunch of other minor tweaks throughout the code as well – many bug fixes and little features (such as celleffects which when created by a skill only impact friendly (e.g. “area heal”) or enemy (e.g. 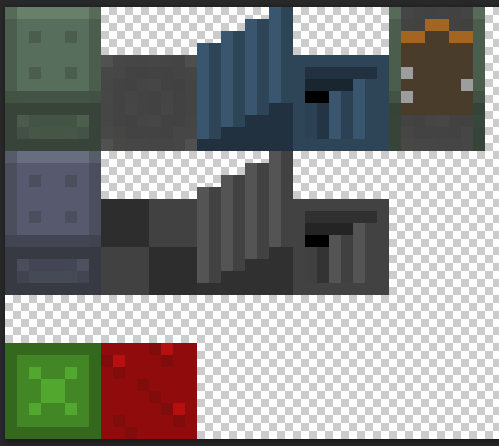 “poison cloud”) mobs). All in all, a fun week or two! Oh real life, why must you impose on my precious coding time? Oh right: the mortgage. Progress has slowed to a more normal pace with the end of the holidays and return to reality – but things are still moving. There’s a short thread about 7YRL up on TouchArcade – it’s amazing how even a few short sentences from folks you don’t know can keep you seriously energized :). As players advance in the game, they’ll unlock skills across four categories; three active: offense, defense, support, and one passive. They’ll be able to choose one of each of those categories at any point in time, and on the gameplay screen they’ll have buttons to activate the 3 active skills. 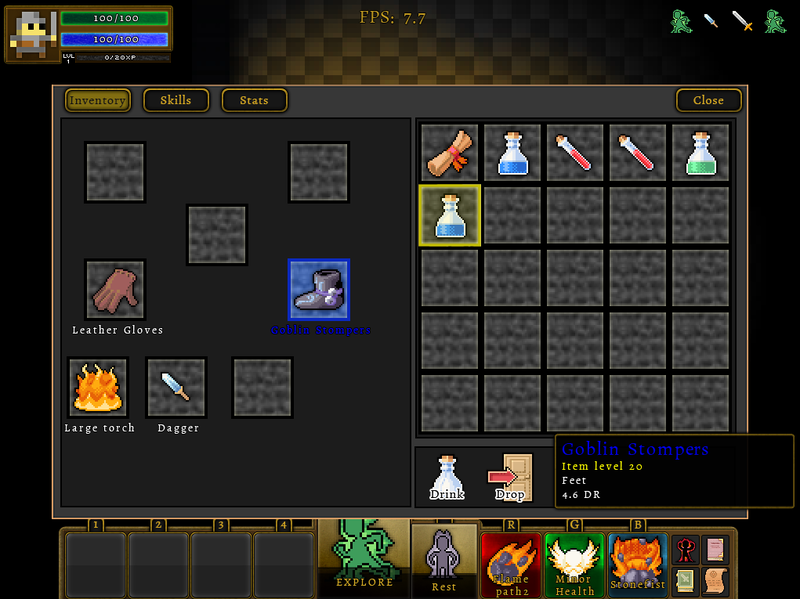 In previous screenshots those were just placeholder art; now though it’s showing the actual skills and is interactive. That screen sits there for a few seconds before jumping to the mainmenu state; eventually this screen will do more, including showing stats/progress, and possibly global rankings and whatnot. The above were fairly quick to do – the real effort over the past few days has been getting an installable Mac demo up and running. Between purchasing the Xamarin.Mac license (wuff), the Apple dev license (wuff), dealing with a ton of linker and cert/profile issues, and trying to coerce the Xamarin.mac installer to obey me, it’s been a bit of a slog. But I’m very close now and am the last stage of verification (but alas even that is more painful than it should be). Still: I’m hoping to have the Mac demo up on indiedb (et al) by the end of the weekend. Then I’ll take a look at TestFlight and start figuring out what’s involved in making an iOS demo available more publicly. With four years to go, 7YRL may have peaked too early ;-). IndieDB — 7YRL is #24 of 13791?! 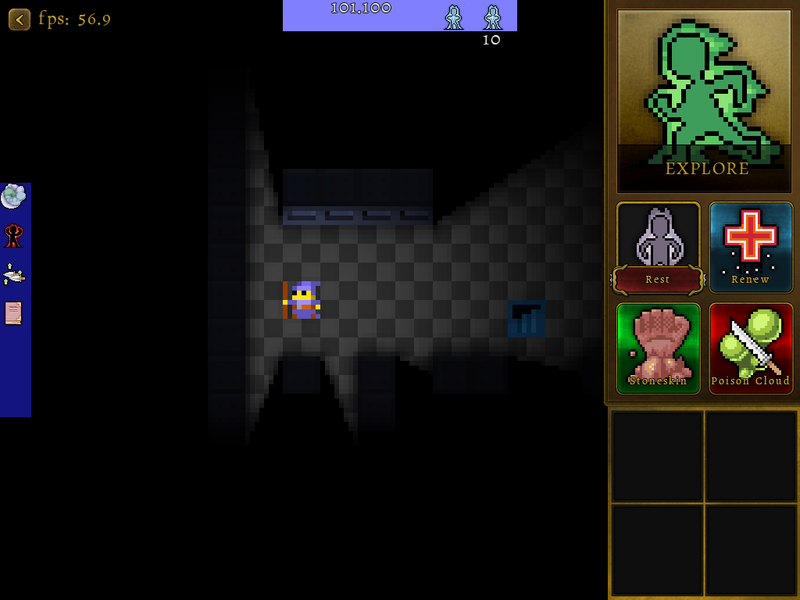 I guess I correctly gauged the massive latent demand for roguelikes with soft shadows. I paid a bit of technical debt last night, plowing through a set of bug fixes that I’d previously been avoiding. 7YRL is getting close to the end of Phase 0.3, which as mentioned in an earlier post means that more of what I need to do is the stuff I put off at at the start of the phase; on the plus side, it also means I’m getting close to the start of the next Phase and a slew of new fun stuff to code there (crafting, professions, more class skills, vaults, and more). blue: height from base. Used for orthographic projection of shadows “up” the mob/tile. 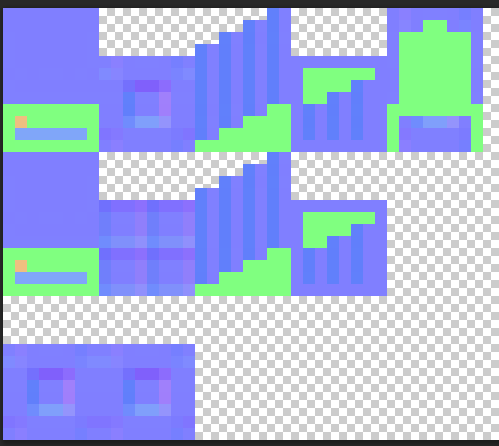 This saves me a good bit of code in the shader since it becomes a lookup. 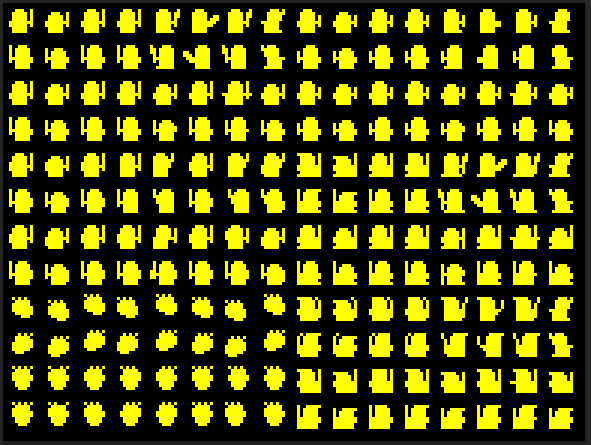 So in the yellow blobs above, the blue component is different on each line. 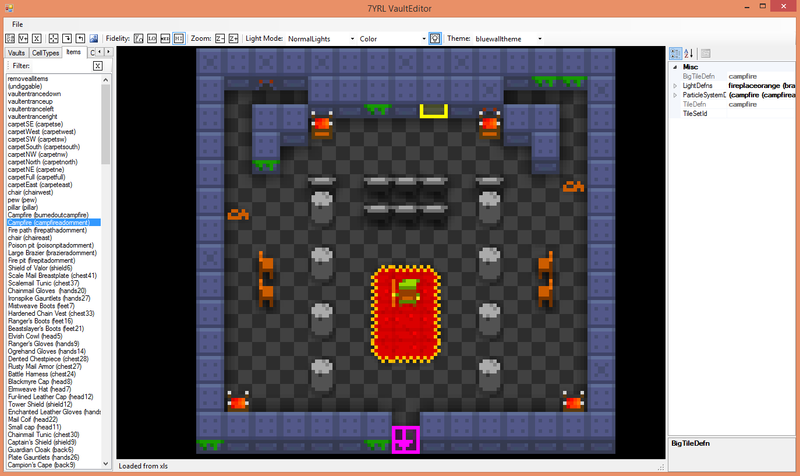 Players can now die; currently it just blows away the current gameslot and takes the user back to the choose gameslot state, but eventually it’ll give stats etc, and take the user to the mainmenu (since only the dungeon/player should be blown away, not the full gameslot which also stores progression data like skills learned). 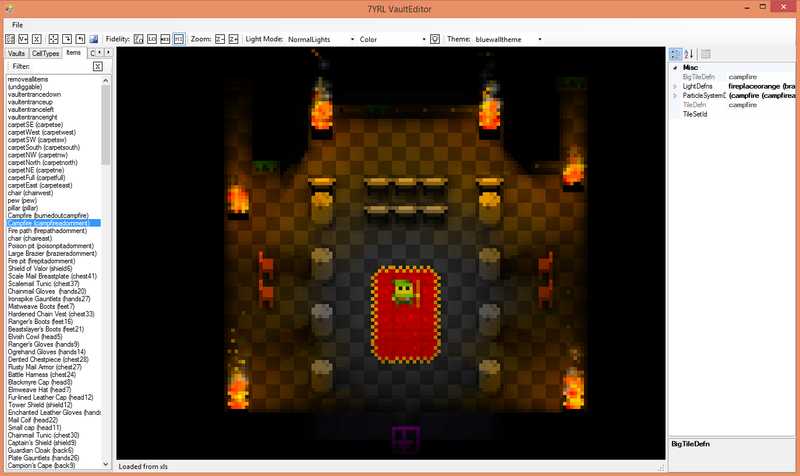 The remainder of my coding time today will go to making an updated video and packaging up a new demo. Tomorrow it’s back to work so updates will likely slow from their recent frenetic (and fun!) pace. I’ve fully implemented the meleeAttack action, which support dodging, parrying, blocking, and (if none of those happen) dealing damage. All of those are hooked into the event/action system, so they fully support buffs (increase to dodge, reduction to parry, etc) and ItemPowers (which are essentially buffs under the covers). Damage dealt takes the attacker’s wielded weapon into account, and Damage reduction takes the target’s armor into account to determine what %gets through. 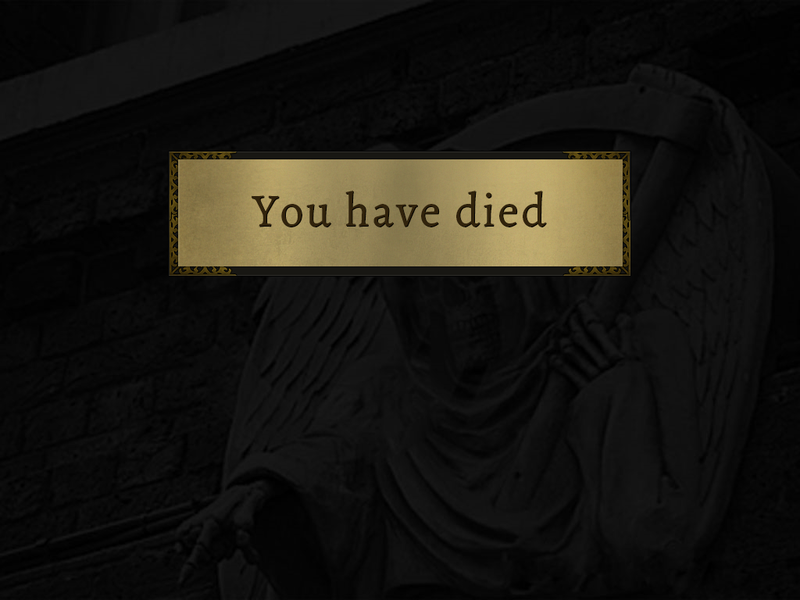 Parried and dodged have similar icons. I’ve opted to not put the emote bubble around attack actions, but may change that. 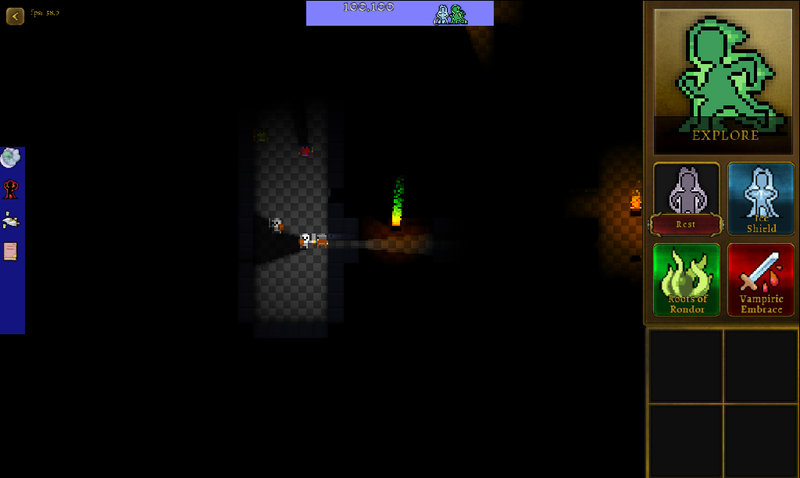 I’m not a huge fan of the visual, but am mostly working to get the infrastructure working right now. The emote have a nice little bounce effect as well and also fade in/out. 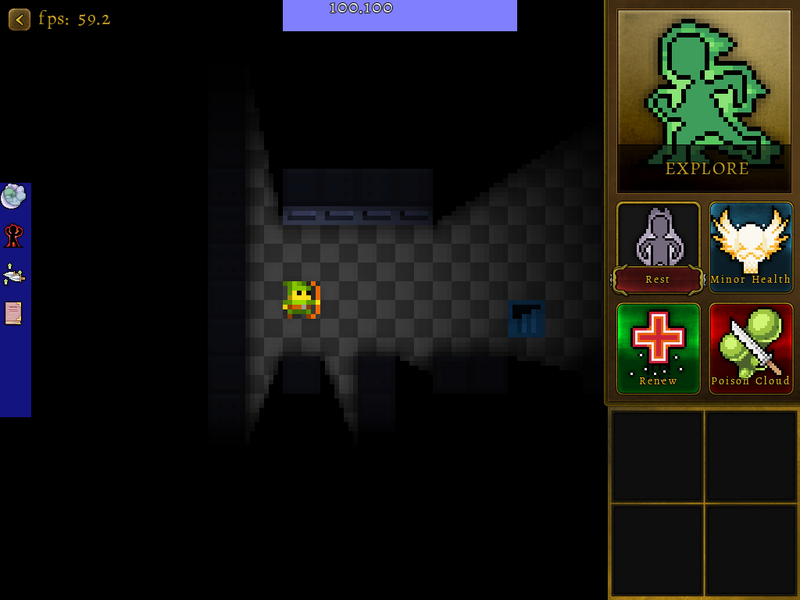 Monsters now have aggro state (binary), and when they see the player they chase and attack. The mobs’ visibility is correct (e.g. they can’t see the player through walls), and they move intelligently (using A* to get to the player rather than just moving in a straight line). 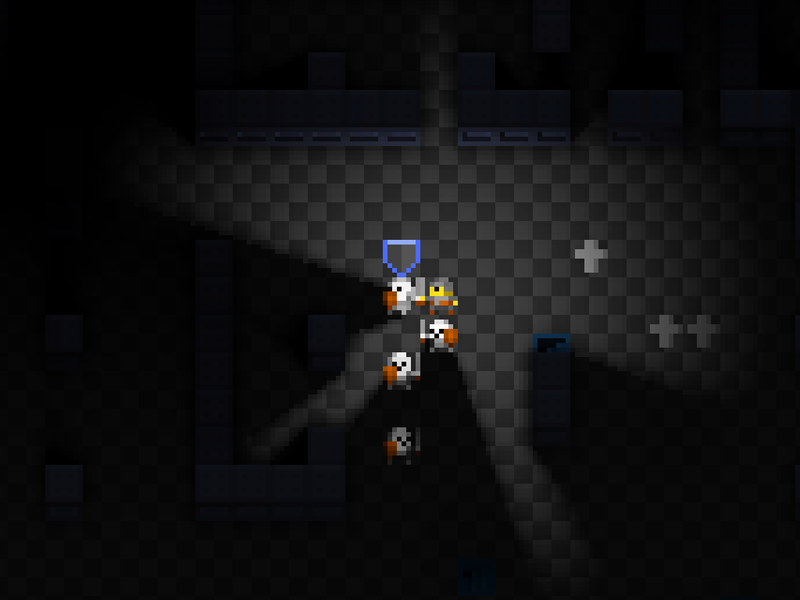 They aren’t yet smart enough to move around other mobs (just need to figure out how to work that into the algorithm). The code is prepped for future more intelligent AI as well (using skills to attack, pack AI, etc). 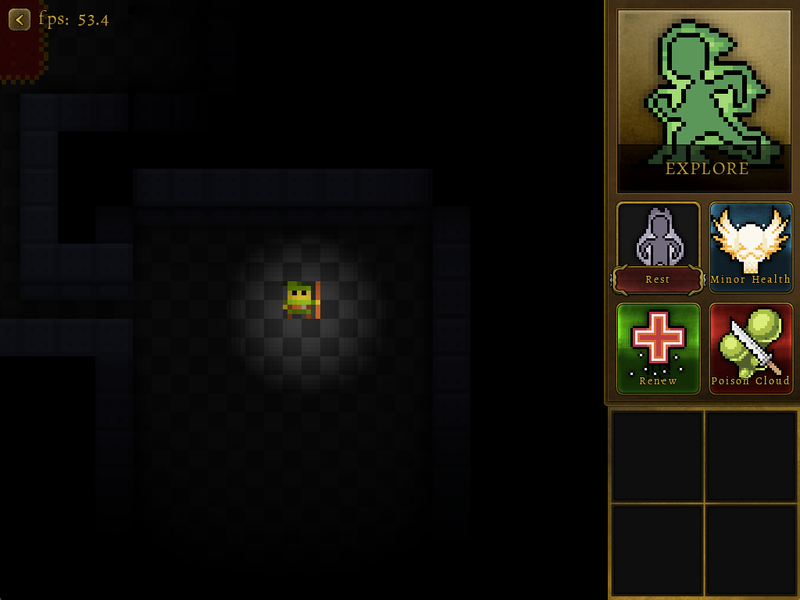 Loot items that are dropped are now level appropriate. Each ItemDefn defines a min/max level range for the item to drop at; I now precreate a list of items (by rarity) for each level, and choose from that when picking an item to drop. Good progress on more infrastructure work; it’s almost at the point where there’s a playable game in there..
Those are specified in an ItemDefn using the now-familiar Event/Action XML definition. The first heals ItemPower heals the wielder/wearer every time they hit a target, the second burns the equipper whenever they move, and the third gives a 2.5x damage multiplier when the equipper damages a target. While these examples aren’t very real-worldy, they do demonstrate the flexibility with which I can now create unique/special weapons and armor (without touching code). My current thinking is that there will be many items with ‘standard’ powers (e.g. 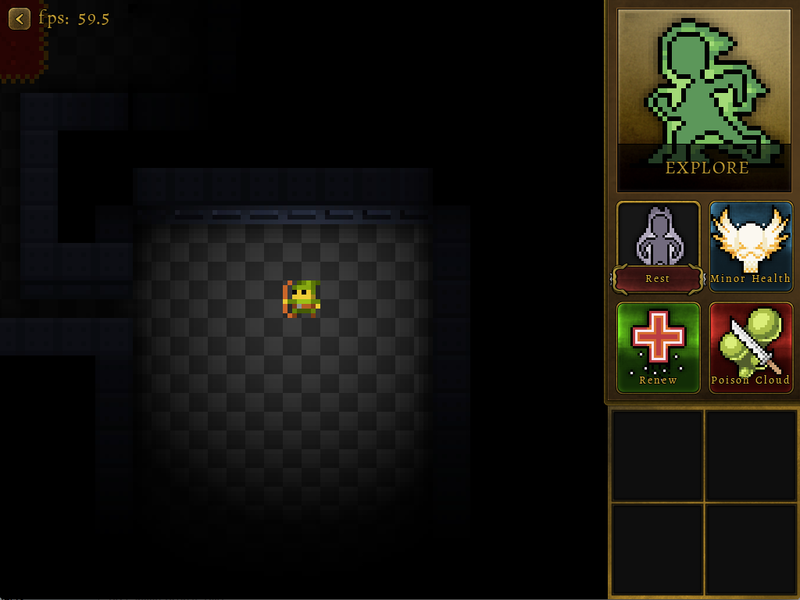 damage multipliers, stats modifiers, etc), a smaller number of items with ‘special’ powers (e.g. 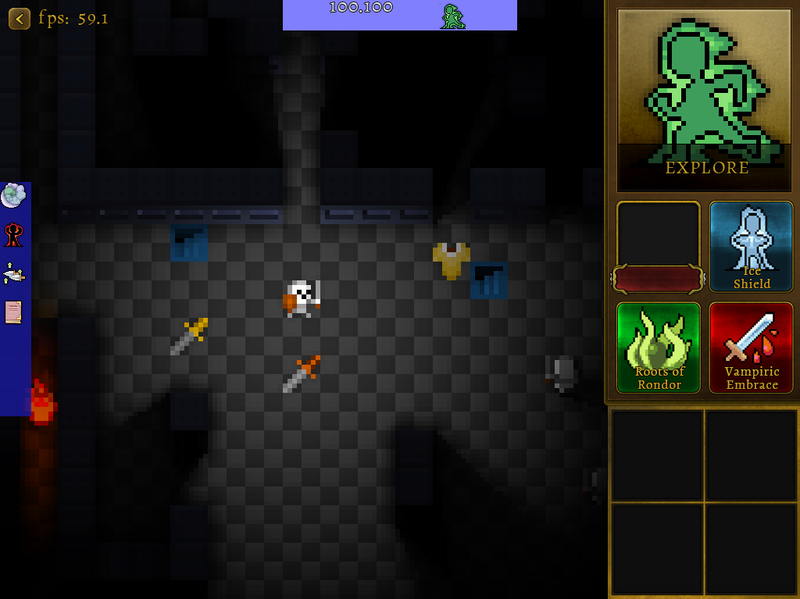 named “Vampiric” swords with buffs that drain life on hit), and later on I’ll also add in the concept of “Item Augmentation”, where a player can add practically any power they want (once unlocked) to any item they want. 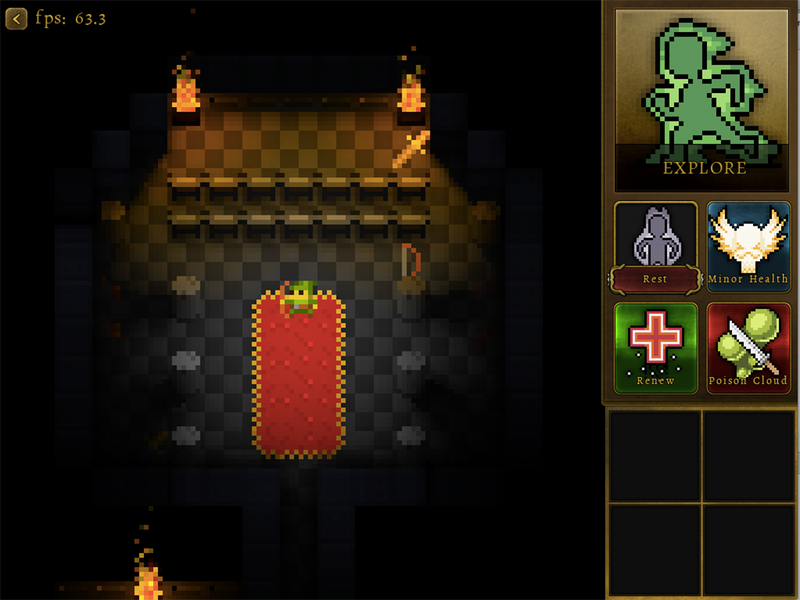 As the player plays the game, they will unlock Skills. Skills fall into one of four categories; Offensive, Defensive, Support, and Passive. 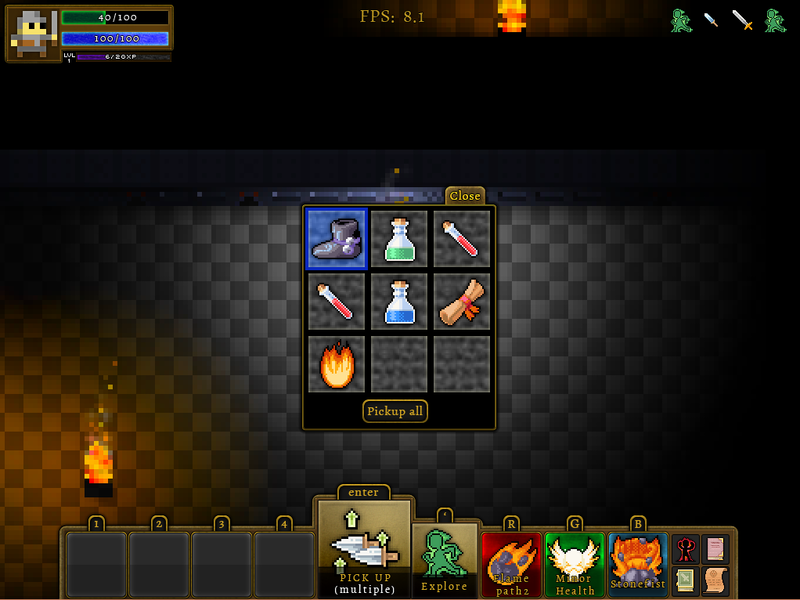 The player will unlock numerous skills in each of those categories, but will only be able to “activate” one of them from each category at a time. 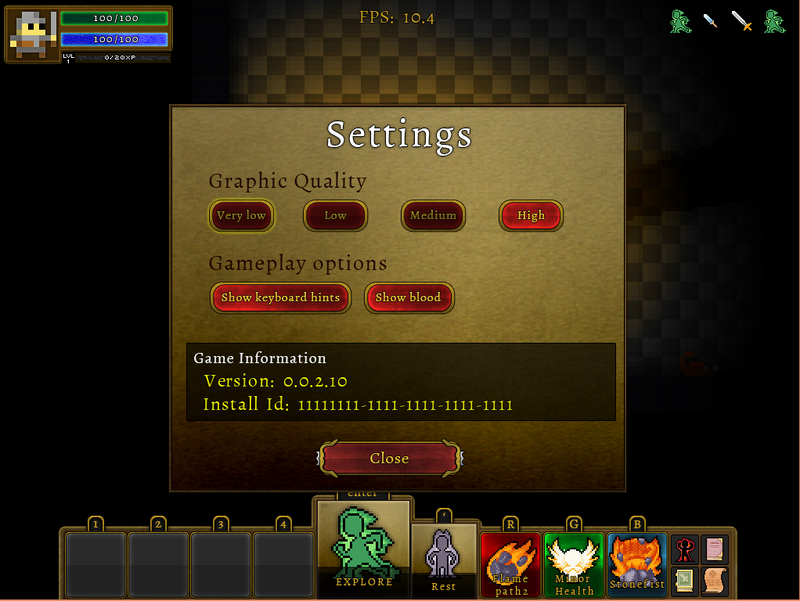 The first categories are active and triggered when a Skill button is clicked by the player. The 4th category is always active whenever the skill is selected. 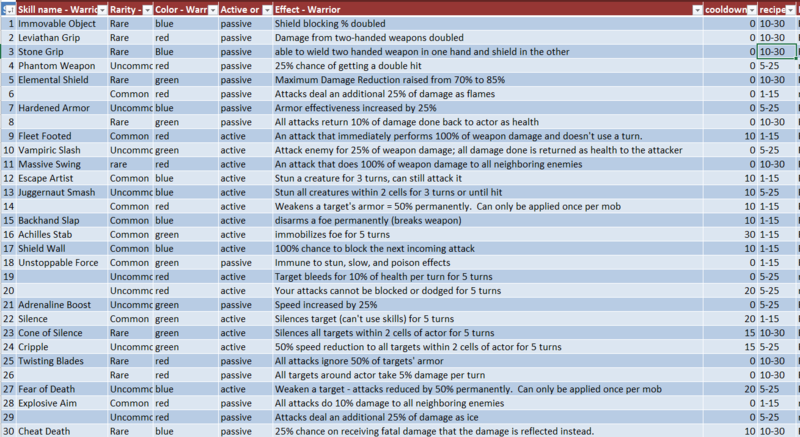 I’ve added in support for Passive skills, which primarily involved adding Action_ActivateSkill and Action_DeactivateSkill functions. Thanks to the Event/Action architecture, I just add an action to fire the Skill’s Action when a “HasBeenActivated” event is fired on it, and the active skill is now a passive one. These took a bit of work to hook up. 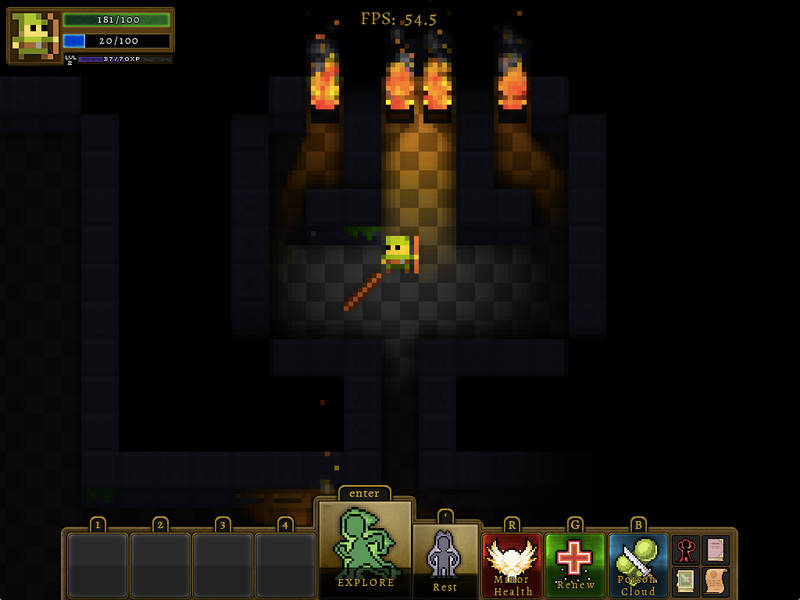 The third ItemPower above demonstrates a Damage Modifier buff; they can now also be added as Passive skills. Many of the skills in the Passive category will be Damage Modifiers. 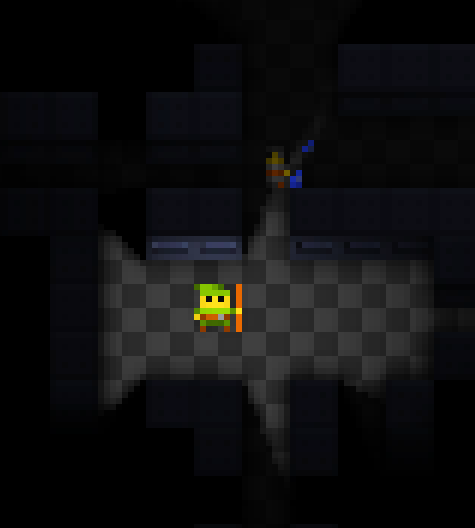 You can point at any tileset for the character; it doesn’t require anything custom. 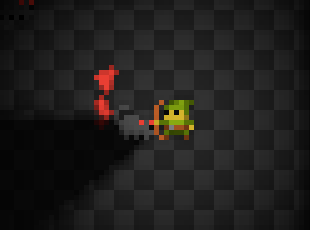 One of the cool things about that is that it’ll allow me to create classes leveraging existing art for other mobs, and to support things like changing the player’s appearance with little code. Adding new classes will be very easy now from a coding POV (requiring practically none) – they’ll be a balancing and art exercise. 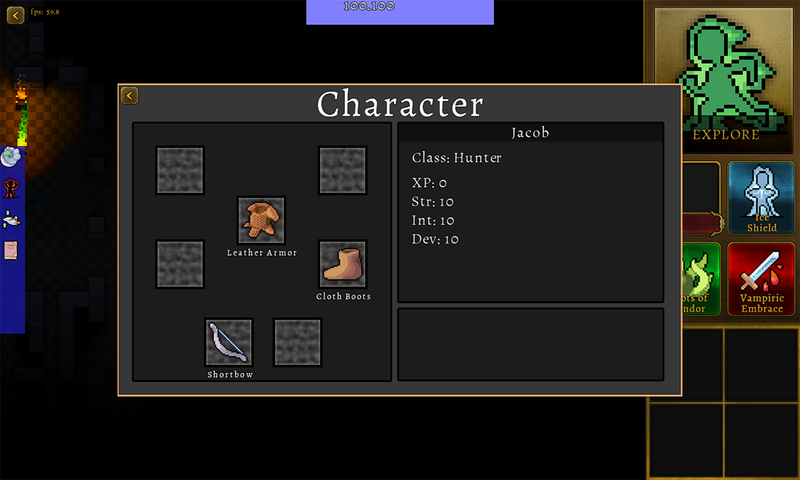 Over time, I can also easily add the ability to choose the player’s Race if I wish; it’ll largely match the above, with “racial traits” (damage modifiers and other events) replacing StartingSkills. All the animations and everything work, which is pretty cool.